On the Go Gift Pairing (p/n 16664) with free gift wrap. 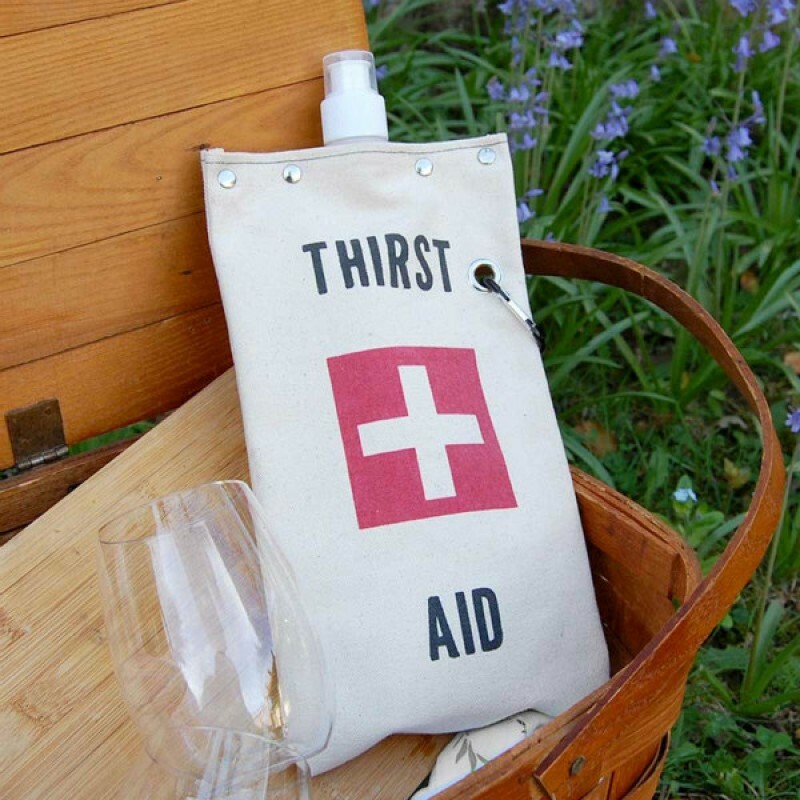 Environmentally friendly, these Thirst Aid totes are stylish, reusable and safe for transporting your favorite beverage on outings, hiking, biking and outdoor events. Designed to hold a full 750 ml bottle of wine, the tote's canvas case and BPA free liner protects wine from UV rays. The drink spout purges oxygen to preserve wine, and the exterior canvas is riveted and grommeted for compact longevity. When empty, the tote is easy to fold and store. When full, the tote is unbreakable and light. Can also be used for cold water or hot beverages. These amazing unbreakable glasses allow you to enjoy your favorite wine anywhere, anytime. 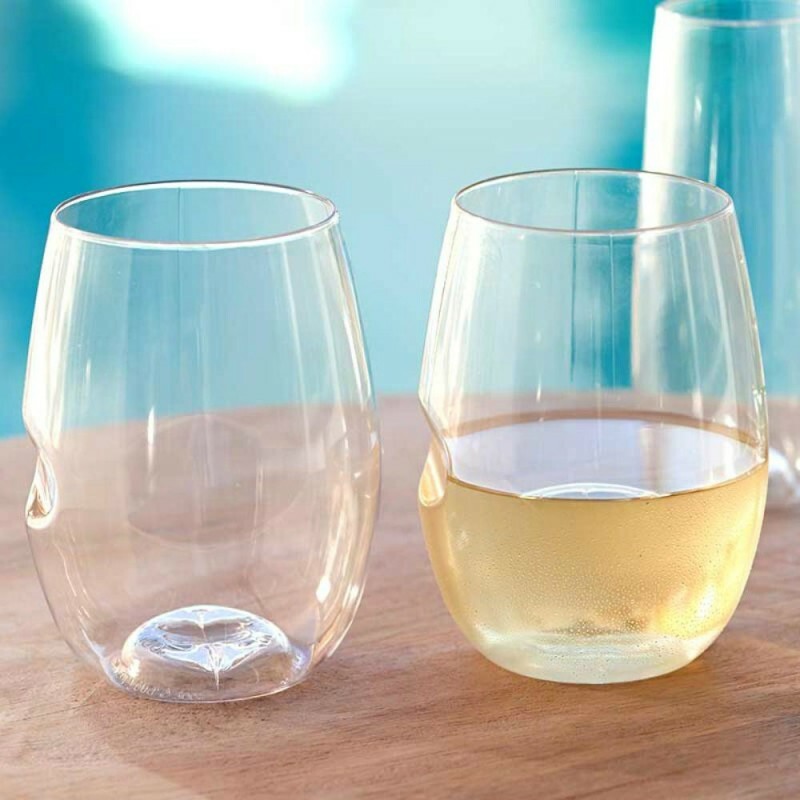 Made from PETG, a proprietary, food-safe pharmaceutical grade polymer, govino glasses reflect a wine's color and projects its aromatics much like crystal. To ensure the optimum wine tasting experience, replace your govino wine glasses after an extended period of use. Reuse it, abuse it, and eventually recycle it. 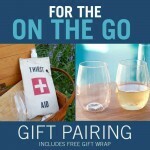 Convenient, durable wine tasting totes and stemless glasses for the on the go wine connoisseur. 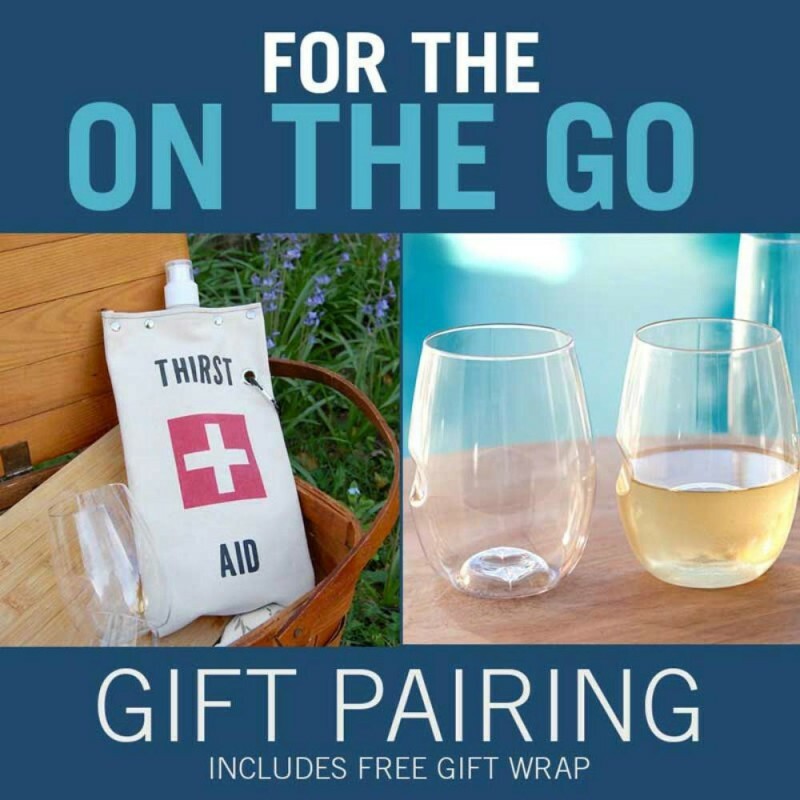 Gift set includes Thirst Aid Canvas Totes, Govino Shatterproof Stemless Glasses and free gift wrapping! While supplies last. Capacity: 750ml tote, 16oz glasses.